The Nokia N900 was officially announced five years ago this month, it was not only Nokia's most sophisticated phone to that point but it also remained the most sophisticated phone in Nokia's range for two years. In many ways the N900 represented a critical point for Nokia that had been struggling to compete with rivals such as the Apple iPhone 3GS. If Nokia wanted to remain competitive in this market, it was the last point in time that it could pull something out of the hat to wow the world. Nokia desperately needed the N900 to be a success, but for a variety of reasons it wasn't. 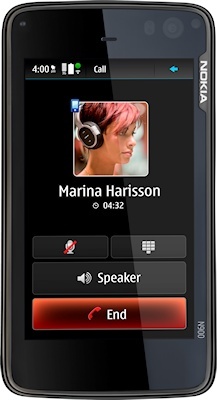 The N900 was Nokia's first and last smartphone running the Linux-based Maemo operating system. Despite this being the first time it was in a smartphone, Nokia still regarded this as an Internet Tablet and it was the latest revision of a line that had been around since 2005 with the Nokia 770, followed by the N800 and N810. This meant that it was actually quite a mature product, and the Maemo 5 operating system had most of the rough edges ironed out and was easily as capable as anything else on the market. 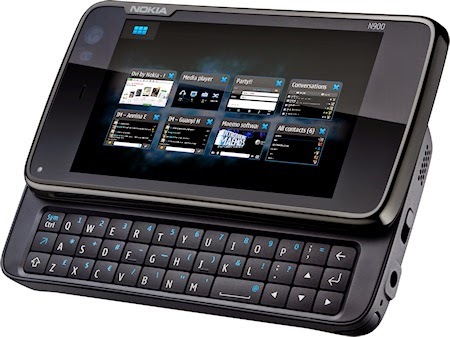 Unlike most modern smartphones, the Nokia N900 featured a physical slide-out QWERTY keyboard, it came with a 3.5" 480 x 800 pixel resistive display, had a 600 MHz ARM Cortex-A8 CPU with 256MB of RAM plus an impressive 32GB of flash storage plus a microSD slot. On the back was a 5 megapixel camera with WVGA video capture plus a front-facing video calling camera. The N900 supported HSPA and WiFi data, had Bluetooth and GPS.. basically all the features that you'd expect to find in a modern smartphone. When it was officially launched, Nokia found itself up against the last of the first-generation Android devices as well as the iPhone 3GS, which should have been an easy target. But the rollout was agonisingly slow, and in some markets it only started shipping in 2010 when it was up against second-generation Androids such as the HTC Desire. So why did the N900 not become the breakout device that Nokia needed? 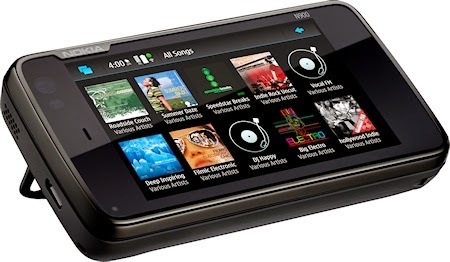 One problem was the way that it was launched - Nokia hinted that there would be even better models around the corner which created an Osborne effect where many customers held off buying an N900 in anticipation of a better model to come.. when in fact there was no such model in the pipeline. Clearly the N900 was a promising device, and a next-generation version with a bigger capacitive screen, faster processor, more memory and an improved interface would have strengthened Nokia's position hugely. But then Nokia made a terrible mistake with the Maemo product line - it tried to merge it with Intel's Moblin platform to become the completely new MeeGo operating system. MeeGo turned out to be a massive strategic disaster. When the merger was announced at Mobile World Congress in February 2010, people were expecting to see an announcement for the N900's successor, but what happened instead was that all product development stopped while the codebases were merged, and customers were left waiting. And waiting. By the time Nokia announced its first (and only) commercially-available MeeGo handset, the elegant Nokia N9, it was too late. The market had moved on and iOS and Android were king. Nokia's new CEO had given up and committed Nokia to Windows for high-end smartphones, the beginnings of a move which eventually led to all other products being killed off and Nokia's handset business being taken over by Microsoft. However, there is a glimpse of what could have been if Nokia had come up with true replacement for the N900, and that is the very rare Nokia N950 developer phone which can sell for between €600 to €2000. Perhaps if the N950 had come out in 2010 then Nokia might still be an independent manufacturer.